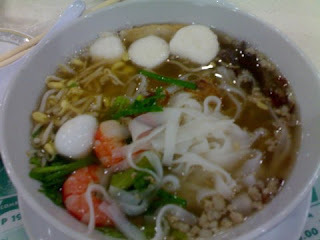 Last Saturday, hubby and I finally got the chance to savor some gastronomic delights at Pho Bac, Robinsons Galleria. 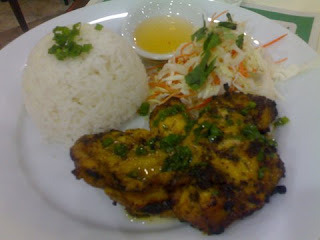 It was our first time to relish Vietnamese food, and we both enjoyed it. We had spring rolls for appetizers. Too bad we weren’t able to take a photograph of these. Ed had Cambodian Pho Bo soup noodles afterwards, and I had Chicken with Lemongrass. 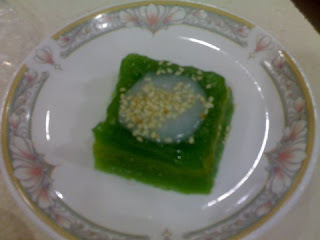 We capped off our dinner with those dainty pandan puddings. We’ll definitely go back to this place.